​Here's a KMC chains review. Hope it helps! I'm sure you'll agree when I say bicycle chains are simple things. Most of us don’t want or need to spend a ton of time thinking about them. It's entirely possible to spend an alarming amount of money on this small-but-critical component. For the vast majority of us, it’s unnecessary. 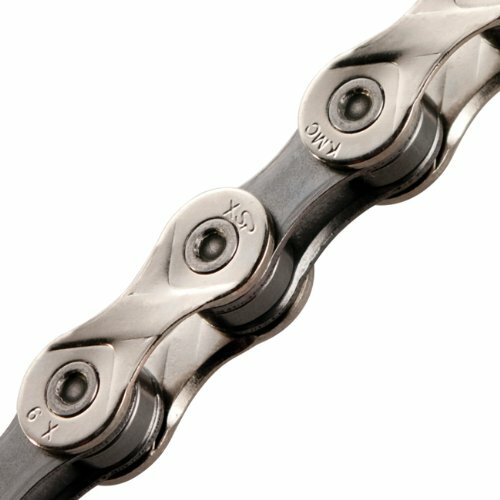 KMC is a major manufacturer​ that makes a wide range of chains. They have a reputation for strong performing components, and today I'm going to take a look at them. Your bicycles chain one of the most efficient transferrers of energy in the world. Properly installed, regularly cleaned and lubricated, your links should work without fuss. But it needs to be reliable. KMC offers this. ​While well-suited to most everyday riding, this isn't the apex of strength and not the best choice for the most extreme ends of mountain biking and racing. While 9-speed drivetrains are being gradually replaced by 10- and 11-speed advances. A great many of us will remain on the standard 9-speed configuration for road and mountain bikes. KMC’s reliable X9 is a dependable and good-value option. Are You Too Extreme For The ​X9? Engineered for most, but perhaps not all. The toughest mountain bikers tackling steep, rough terrain put their chains to the test with huge amounts of force and stress. Likewise, road racers on long, hard climbs and devastating finish-line sprints need the strongest of metal. The failure of a chain while on a ride can instantly end your day, and in certain situations (say, the upways side of a steep hill) the sudden break or failure of one can be quite dangerous. But for more durability, you'll be paying more cash. My cyclocross has a common drivetrain with a double crank up front and 9-speed cassette on the back. That ride is my most-used. It commutes, it takes me camping, it goes on long rides into the country. I ride it a lot, so people think I’m energetic and fit. Over the years I’ve replaced the chain on my cyclocross approximately whenever it seems like I oughta! It’s a good idea to replace the cassette and chain at the same time to ensure they’re wearing similarly. I don't do this. I do it wrong. I fix stuff when it's broken! I throw a chain on, I ride a long while, and eventually as it inevitably wears out over the years and I replace it. I don’t need a component I can sprint up Mont Ventoux on, and I don't need to make a big investment. Related Post Bike Size Chart: Want A Bike That Fits Like A Glove? Watch the video below by KMC to see how to maintain them. The clip is old but, the advice they give is solid. You shouldn't think too hard about your cycle chain. But you need the right one for your bike. The KMC X9.93 is built specifically for 9-speed drivetrains. It won’t work on 6-, 7- or 8-speed setups, nor will it fit newer 11-speed configurations. Click here to see chains that are compatible with other drivetrains on amazon.com. Beyond that, 9-speed is pretty easy as whether you’re on a Shimano or SRAM drivetrain, this set up will work. The one exception here is the high-end Campagnolo components. 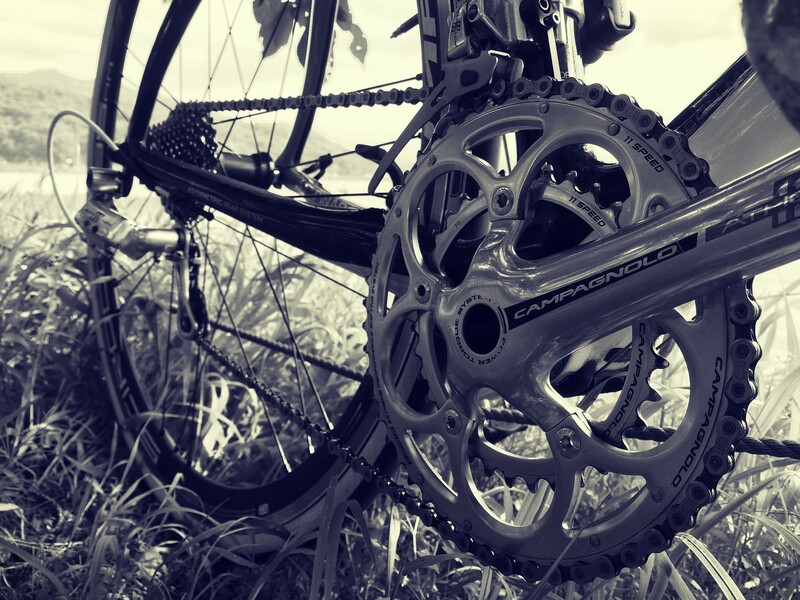 If you’re running a Campy drivetrain, you’ll need to stick with that brand when replacing it. I found an interesting contrasting impression of this chain, from Amazon.com reviewer Colin Faber. Got another ride in today and the chain split open at the end of the ride. I'm seeing multiple links that are bowing outward as if they're ready to break as well. Nobody wants to have their gear break on them! I can understand the frustration. There may be a lesson here. As I mentioned above, I’d describe this chain as a solid all-round performer and not necessarily an extreme-performance model. This reviewer, tackling "black and blue diamond trails" probably found he was hitting the limits of what this part is intended to do. I’m betting his next purchase was a more expensive, more purpose-built item for the high-stress riding he does. The general advice is that it's best to install the same brand chain as your cassette. The thought behind this is that they'll work better together and wear similarly. So if you've got a Shimano cassette, you should get a Shimano chain, and likewise for SRAM and Campagnolo. The 9-speed KMC X9.93 is a reliable choice for a great many riders. The KMC won't cost too much and does what it's supposed to! A review by my friend Joe: A cycling enthusiast with more knowledge about bikes than I'll ever have. Thanks, Joe! Selle Anatomica Vs ﻿Brooks﻿: Both Are Great, But ﻿Which﻿ Is Best?